Will diet play a role in the ringing that comes with tinnitus? Often when a doctor diagnoses tinnitus in a patient, the first step is to call for a professional hearing test. Tinnitus is a symptom that can indicate damage to the delicate hair cells found in the inner ear, which is at the heart of many kinds of hearing loss. Inner ear issues are not the only possible cause of tinnitus, though. The ringing associated with tinnitus is not a medical condition itself, but a sign of a bigger problem like a significant hearing loss. Tinnitus may also mean there is an expected change in sugar levels in the blood or an increase of the production of insulin, a condition called hyperinsulinemia. Learning how the sugar you eat can change insulin levels may be the best way to turn the ringing off this holiday season. The noise isn’t really there, but it does sound real. Objective — A sound caused by a faulty blood vessel. The doctor may also hear this noise during an examination. The most common of these two forms of tinnitus is subjective. It is a condition that affects approximately 40 million people in the U.S.. For 10 million people with tinnitus, the noise is loud enough to interfere with their daily activities. Most importantly, severe tinnitus can get in the way of a good night’s sleep and that affects overall health. Hyperinsulinemia is the medical name for too much insulin in the blood. Insulin works a lot like a key that opens the membranes around cells to allow sugar to enter. All cells utilize sugar (glucose) for energy. When there is too much sugar inside the cell membrane, it causes damage. This is why membranes are locked. They only open when the body determines there are high levels of sugar in the blood. To combat the high blood sugar, it produces insulin to unlock the cell membranes and pull sugar inside. The cells then metabolize the sugar to create fuel. So, what happens to the blood when a person eats too many sweet treats? The blood sugar level rises and insulin is released in response. This is critical because too much blood sugar is harmful to tissue, specifically the veins, arteries and nerves. This is the reason individuals diagnosed with diabetes tend to have problems with the circulation in the legs and feet and don’t heal well. To stabilize the blood sugar after eating something high in sugar, your body increases it’s production of insulin, leading to hyperinsulinemia, or higher than normal blood insulin levels. It’s not just candy and sweet treats that cause this condition, either. Any carbohydrate like bread will have the same effect. Hyperinsulinemia is sometimes a metabolic disorder that indicates insulin resistance associated with type 2 diabetes. When cells become resistant to insulin, it’s like someone changes the locks on the membranes and the key no longer works. This is a vicious cycle because the body will produce more insulin in an attempt to regulate blood sugar levels that can’t drop naturally. The sugar has nowhere to go because the cells have locked it out. The higher the sugar levels, the more insulin the body makes. Hyperinsulinemia and Tinnitus: What is the Connection? At least one 2004 study found that somewhere between 84 to 92 percent of people with tinnitus have hyperinsulinemia, too. It may be related to the development of Meniere’s disease — a condition caused by changes in inner ear fluid pressure. What we do know for sure is that the inner ear needs a steady supply of oxygen and glucose to function well. Any fluctuation in that system might lead to ringing in the ears. Long-term and uncontrolled high blood sugar can interfere with the nerve that allows the brain to understand sound, it can damage the vessels that supply the ear with blood and, finally, even a little extra sugar changes the electrolyte balance of the fluid in the inner ear. What Does This Mean For People Who Love Those Holiday Cookies? 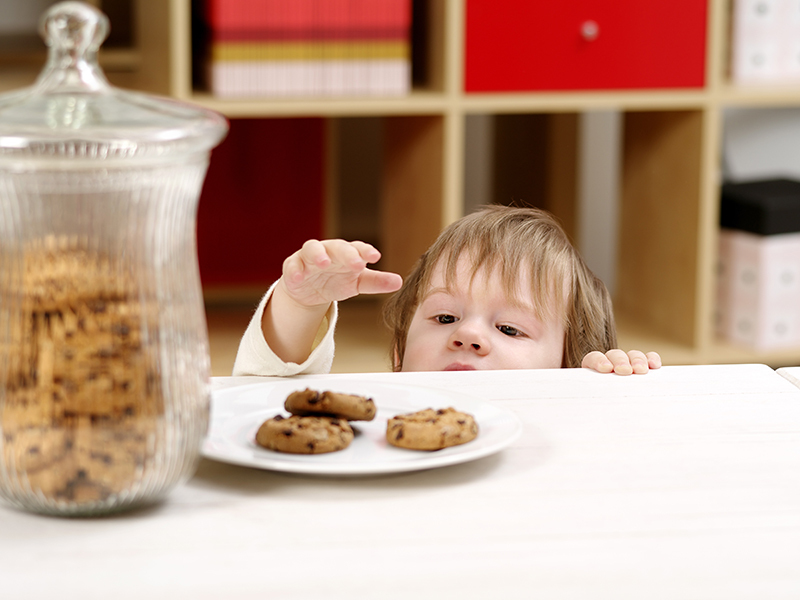 By now, most people realize that the simple sugars found in cookies and candy are bad for them. Now, you can add hearing problems and tinnitus to the list of reasons you should manage your intake. For the most part, the tinnitus associated with the occasional sugar blast is harmless. If you do overindulge a bit this season, you might notice that funny noise in your ears. If you already suffer from tinnitus, though, the noise will get worse, so slow down on the treats.